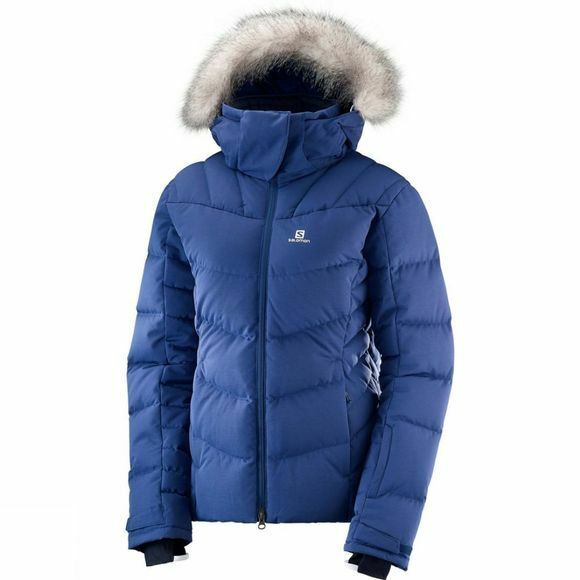 For superior warmth and protection, grab the women's Icetown Jacket from Salomon with natural down insulation. Its soft textured outer fabric is highly waterproof, to keep you warm and dry without an added shell. Contemporary lines give it a modern look that suits the resort or even wintry cities.